Abstract：The response mechanism of animals against environment pressure may be different between sexes. Relative fatness is a convenient index always used to indicate survive quality. Rainfall, temperature and normalized difference vegetation index (NDVI) are normally considered as environmental forecast factors. In order to understand the characteristic of relative fatness of Microtus fortis population and the relationship between relative fatness and environmental forecast factors, a population survey at 7 survey sites was implemented in Dongting Lake wetland. The habitat type was different for all the survey sites. At the same time, the data of rainfall, temperature and NDVI were collected during the study period. The correlation between the relative fatness and environmental forecast factors were analysed. The results showed that the characteristics between different sexes of M. fortis were similar. There were significant differences between the relative fatness of male and female M. fortis in different habitats during spring and winter, while variety trends of relative fatness of male and female M. fortis were similar in summer and autumn. In the wetland region, the relative fatness of male and female M. fortis was similar between seasons in carex habitat, but the difference was found in reed habitat. There was no obvious correlation between the relative fatness of male M. fortis and environmental forecast factors, irrespective of the rainfall, temperature, and NDVI in wetland or NDVI in farmland. Statistics analysis showed that the relative fatness of female M. fortis had a relationship with rainfall and NDVI in farmland, but no correlation with temperature and NDVI in wetland. The relative fatness of M. fortis may reflect the ecological pressure in some cases. Above results showed that the female M. fortis are more sensitive to environment factors than the males. Habitat and food available may affect the relative fatness of the female M. fortis and then explain the population increasing. 鲍毅新, 杜卫国. 2000. 社鼠肥满度与气候环境的关系[J]. 浙江师范大学学报(自然科学版), 23(3):287-290. 曹健, 2015. 横道河子林区大林姬鼠肥满度的研究[J]. 黑龙江科技信息, (19):64-65. 郭聪, 王勇, 张美文, 等. 2001. 洞庭湖区东方田鼠洞群成员分析[J]. 兽类学报, 21(1):44-49. 郭聪, 张美文, 王勇, 等. 1999. 洞庭湖区夏季温光条件及被迫迁移对东方田鼠繁殖的影响[J]. 兽类学报, 19(4):298-307. 贺建林, 杨友孝, 曹明德, 等. 1998. 洞庭湖区湖洲生态建设初探——以沅江市湖洲为例[J]. 湖泊科学, 10(4):77-82. 李晓晨, 王廷正, 刘加坤. 1992. 大仓鼠肥满度的研究[J]. 兽类学报, 12(4):275-279. 刘伟, 宛新荣, 王广和, 等. 2003. 长爪沙鼠肥满度的年龄和季节特征[J]. 兽类学报, 23(2):139-144. 马勇. 1986. 中国有害啮齿动物分布资料[J]. 中国农学通报, (6):76-82. 彭德纯, 袁正科, 彭光裕, 等. 1984. 湖南省洞庭湖区的植被特点及分布规律[J]. 中南林学院学报, (2):110-119. 寿振黄. 1962. 中国经济动物志 兽类 啮齿目[M]. 北京:科学出版社. 王庭林, 刘志鹏, 韩金巧, 等. 2015. 花鼠肥满度的研究[J]. 农业技术与装备, (5):65-67. 吴林, 张美文, 李波. 1998. 洞庭湖区东方田鼠的食物组成调查[J]. 兽类学报, 18(4):43-52. 武正军, 陈安国, 李波, 等. 1996. 洞庭湖区东方田鼠繁殖特性研究[J]. 兽类学报, 16(2):142-150. 武正军. 1996. 东方田鼠长江亚种(Microtus fortis calamorum)的生长与发育[J]. 动物学杂志, 31(5):26-30. 夏武平, 高耀庭. 1988. 中国动物图谱 兽类 啮齿目(第二版)[M]. 北京:科学出版社:31-70. 夏武平, 孙崇潞. 1963. 红背肥满度的研究[J]. 动物学报, 15(1):33-43. 徐正刚, 赵运林, 李波, 等. 2013. 洞庭湖区东方田鼠灾害预警分析[J]. 生态学杂志, 32(10):2830-2836. 徐正刚, 赵运林, 李波, 等. 2014. 基于MODIS植被指数评估洞庭湖区东方田鼠在大暴发年份的危害[J]. 生态学报, 34(23):7101-7109. 杨再学, 郭世平. 1995. 褐家鼠肥满度的研究[J]. 生态学杂志, 14(6):25-28. 杨再学, 金星, 雷邦海, 等. 2014. 贵州省针毛鼠肥满度的变化规律[J]. 亚热带农业研究, 10(2):80-85. 余德清, 皮建高. 2002. 洞庭湖区洲土变化特征与地壳沉降遥感研究[J]. 湖南地质, 21(1):46-50. 张美文, 李波, 王勇. 2007. 洞庭湖区东方田鼠2007年暴发成灾的原因剖析[J]. 农业现代化研究, 28(5):601-605. 张美文, 王凯荣, 王勇, 等. 2003. 洞庭湖区鼠类群落的物种多样性分析[J]. 生态学报, 23(11):2260-2270. 张美文, 王勇, 李波, 等. 2012. 三峡工程和退田还湖对洞庭湖区东方田鼠种群的潜在影响[J]. 应用生态学报,23(8):2100-2106. Boone RB, Thirgood SJ, Hopcraft JG. 2006. Serengeti wildebeest migratory patterns modeled from rainfall and new vegetation growth[J]. Ecology, 87(8):1987-1994. Gupta RK, Vijayan D, Prasad TS, et al. 2000. Role of bandwidth in computation of NDVI from landsat TM and NOAA AVHRR bands[J]. Advances in Space Research, 26(7):1141-1144. Li F, Huang J, Zeng G, et al. 2013. Spatial risk assessment and sources identification of heavy metals in surface sediments from Dongting Lake, middle China[J]. Journal of Geochemical Exploration, 132(3):75-83. Liang J, Liu J, Yuan X, et al. 2015. Spatial and temporal variation of heavy metal risk and source in sediments of Dongting Lake wetland, mid-south China[J]. Journal of Environmental Science & Health, Part A:Toxic/Hazardous Substances & Environmental Engineering, 50(1):100-108. Lima M, Jaksic FM. 2002. Population dynamics of a South American rodent:seasonal structure interacting with climate, density dependence and predator effects[J]. Proceedings of the Royal Society B:Biological Sciences, 269(1509):2579-2586. Pettorelli N, Ryan SJ, Mueller T, et al. 2011. The normalized difference vegetation index (NDVI):unforeseen successes in animal ecology[J]. Climate Research, 46(1):15-27. 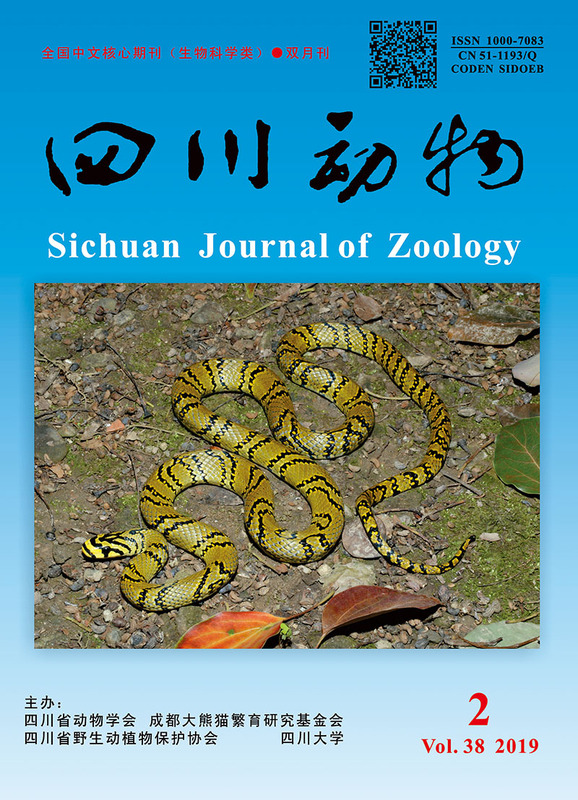 Xu Z, Zhao Y, Bo L, et al. 2015. Habitat evaluation for outbreak of Yangtze voles, Microtus fortis, and management implications[J]. Integrative Zoology, 10(3):267-281. Zhang C, Yuan Y, Zeng G, et al. 2016. Influence of hydrological regime and climatic factor on waterbird abundance in Dongting Lake wetland, China:implications for biological conservation[J]. Ecological Engineering, 90:473-481.